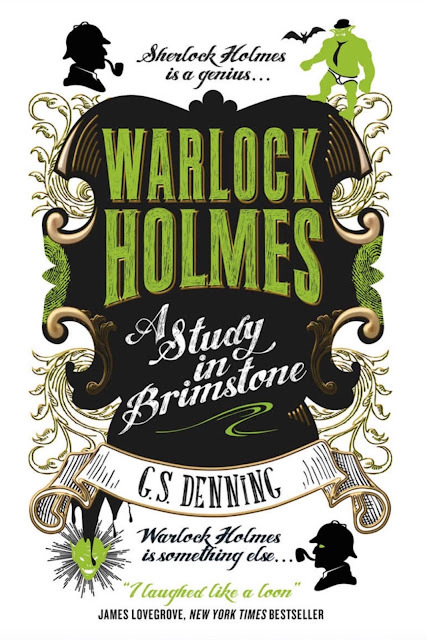 A comedic, supernatural reimagining of Holmes by G.S. Denning. This first book spawned a sequel, The Hell-Hound of the Baskervilles. Sherlock Holmes is an unparalleled genius. Warlock Holmes is an idiot. A font of arcane power, certainly. But he’s brilliantly dim. Frankly, he couldn’t deduce his way out of a paper bag. The only thing he has really got going for him are the might of a thousand demons and his stalwart companion. Thankfully, Dr. Watson is always there to aid him through the treacherous shoals of Victorian propriety… and save him from a gruesome death every now and again.